Woodhead Heritage the specialist conservation arm of Robert Woodhead Limited have been working alongside FAS Heritage and Lincolnshire County Council to uncover a significant archaeological discovery. A team of archaeologists began the excavation early on Thursday 14 November, with the project lasting throughout the day. 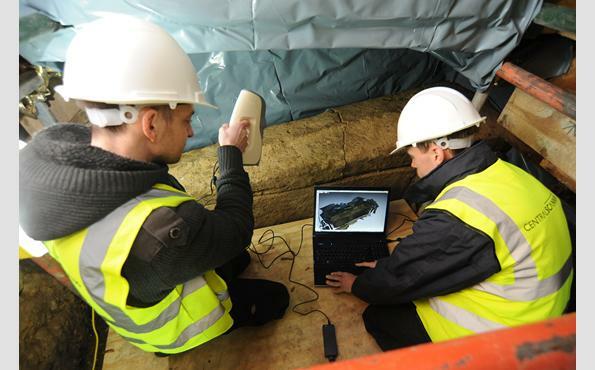 The sarcophagus was discovered earlier this year during works taking place as part of the Lincoln Castle Revealed project. The stone coffin was found three metres down from today’s ground level in a small area being excavated for the construction of a lift shaft. It appears to have been part of a previously unknown church that is at least 1,000 years old.